Being fit and healthy is important for a long and happy life! Get latest news, videos and photos on health, physical fitness, body fitness, fitness tips, fitness band. Of course, you do wash your face. The problem is that excessive washing is just as bad for oily skin, as is insufficient washing. While many sources advise you to use special soaps for oily skin, they may not always be the best choice – these soaps could dry up your skin too much and cause a ‘boomerang effect’. Sometimes it’s better to just use water. Another one of great and effective homemade beauty tips for oily skin is oil cleansing. This basically means removing excessive oil with…oil. That’s right! Natural oils can dissolve the excessive sebum (the oily substance the skin secretes) accumulations on your face, clean up the dead cells and regulate oil production. Give it a try, even if you think it sounds paradoxical, it will do you no harm. Rose water is another wonderful ingredient that is often used in homemade beauty tips for oily skin. Rose water has a soothing, anti-inflammatory effect. Besides, it can remove excessive oil and actually regulate its production by your skin, so you don’t get that unpleasant shine. Use it regularly, whether by spraying your face with it, or applying it with a cotton bud every other day. If you have the time, massage your face a few times every week with plain, unsweetened yoghurt or buttermilk. The lactic acids they contain help cleanse your skin, unclog the pores and reduce sebum production. Yes, it’s the acid in apple cider vinegar that can help you keep your skin shine-free. Just splash some vinegar diluted in water (proportion 1:1) on your washed face and let it dry, before rinsing it off. Don’t worry about the smell, it will evaporate quite quickly. As an added benefit, it has a softening effect. The list of homemade beauty tips for oily skin can’t be complete without mentioning an egg. An egg-white mask has a drying effect on your skin but this effect is not as excessive, as the effect of detergents. Add some lemon juice to reinforce it, mix lightly, apply and leave for ten minutes, before rinsing gently. Doing it once or twice a week should be enough, provided you also use some of the other remedies. Another one of great homemade beauty tips for oily skin is to use white cosmetic clay. White clay, or kaolin, is one of the best drying, skin-tightening treatments there is. It not only absorbs excess oil, but it also takes care of blemishes and tightens pores. Depending on the strength you’re aiming for, mix it with water into a more liquid or a thicker paste, then gently rub it on your face, and leave to dry before rinsing. Alcohol dries up the skin but it does it so aggressively. This means that it’s very likely that your oily skin will get worse, instead of better, if you regularly treat it with a toner that contains alcohol in it. If you feel you must use a toner, choose one without the stuff. Also, don’t forget to moisturise – oily skin does not equal well moisturised skin. All experts are unanimous on this – eating fresh fruit and vegetables, and staying away from fried foods can do wonders for your oily skin, even if you don’t want to use any of the other tips and remedies. That’s because a proper diet balances the production of oil by the skin glands, just like it balances your weight. Getting into a habit of exfoliating your skin daily, especially if you live in a big city where the air is as a rule dirtier, is one of the best things you can do for your skin. You don’t even have to use abrasives, just massage your face with some vinegar. If you want abrasives, use baking soda or ground almonds. Mix the soda with some water and rub it gently into your face before rinsing. Mix the almonds with some honey and do the same, then rinse. Caution: Make sure your are not allergic to homemade skin treatment ingredients and always be gentle with your skin! 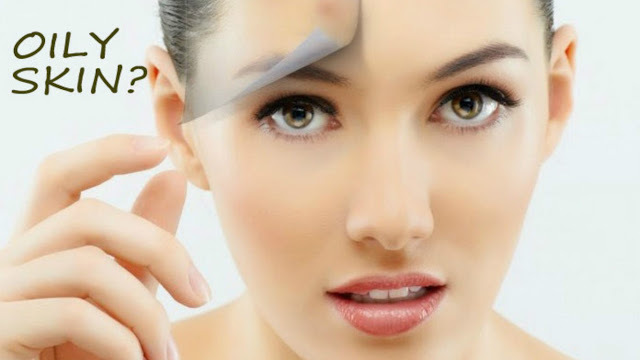 How to Remove Acne And Dark Spot (Home Made Cream).